The Embassy Pen featuring the Fisher Space refill. I’m a sucker for a good-looking pen. Just like I’m a sucker for a good-looking anything, but that’s a story for another time. Government approved vendor County Comm is the maker of several products for various U.S. groups and requirements. When commissioned for creating a new barrel pen, County Comm managed to broker a deal of keeping a surplus for their own profit. Making the limited quantity of pens available to the public, the black, anodized aluminum Embassy Pen is also available in stainless steel. The bold, knurled grip makes this tool a very attractive, sturdy, durable accessory for your writing needs. And who said it’s no longer fashionable to still write with a pen? I know technology is making it easier to type away for every task – thank you iPad – but, I will always find a way to use a pen for the old-fashion way of taking notes, or yes, even writing a check. Sadly, I have more pens than anyone could ever need. It’s a major problem and I don’t advice keeping too many around on your desk. 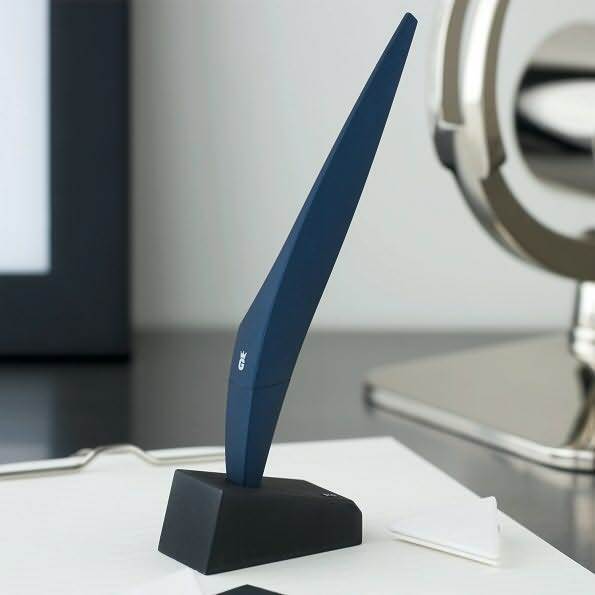 However, I do love seeing great looking pens – a few at least – in a nice presentation on a desk. In my opinion, it’s very timeless and very executive. Add the Embassy Pen to your collection for about $40 USD. 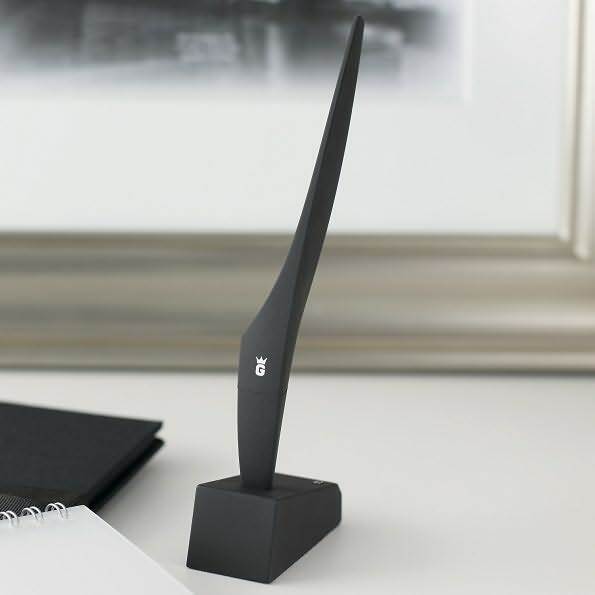 Paying homage to the art of writing with a feather, the Fjader (Swedish for feather) is a sleek, stunning writing tool with a beautiful pedestal for displaying its exquisite modern lines. It’s lightweight at only 10 grams and measuring 7.2 inches. This set will look GREAT on any desk…buy yours immediately. Available for $39 at Barnes & Noble.